And now, because of the covenant which ye have made ye shall be called the children of Christ, his sons, and his daughters (Mosiah 5:7). righteously and be worthy to live with Him again. 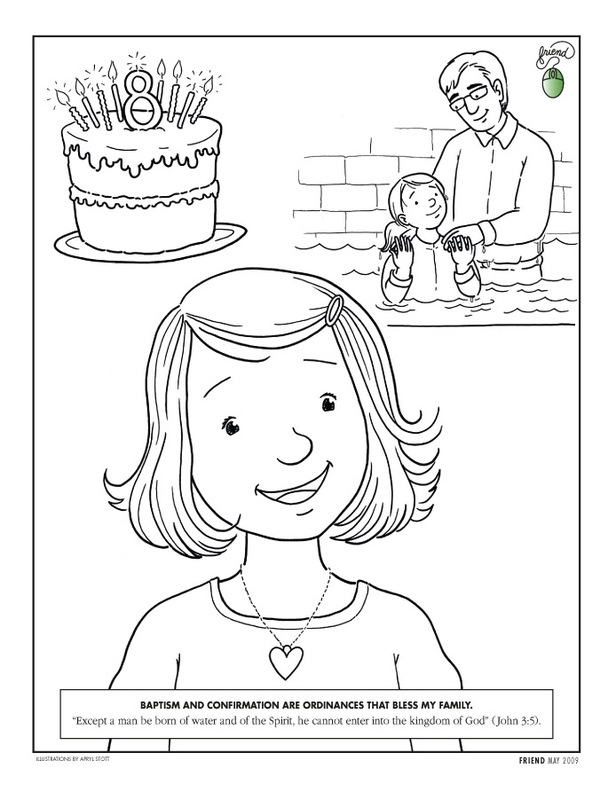 to be baptized, to make a covenant (see Mosiah 18:8–13). The people were so happy that they clapped their hands with joy. They wanted to show their love for Heavenly Father, and their desire to keep His commandments, by being baptized. 18:9). That means that they would tell others about Heavenly Father and about how much He loves each of His children. If they did these things, the Lord would bless them with His Spirit. Alma’s people learned that Heavenly Father loves us and wants us to make a sacred covenant with Him. We begin our journey back to Him by making a covenant and being baptized. Heavenly Father’s commandments (see 2 Ne. 31:5–8). 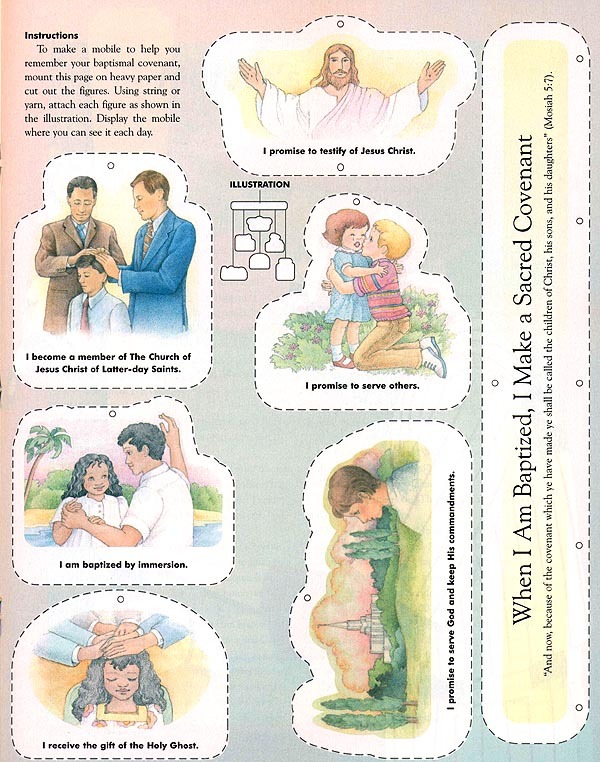 When you are baptized, you make that same covenant to serve Heavenly Father and Jesus Christ. Then, when you are confirmed a member of The Church of Jesus Christ of Latter-day Saints, you covenant to take His name upon you, to always remember Him, and to keep His commandments. Just like the people of Alma, you promise to be a witness of the Savior—to tell others about, or testify of, Him. When you keep your part of the baptismal covenant, you will always have His Spirit to be with you. That is God’s promise to you. you can see it each day. and his daughters (Mosiah 5:7). I am baptized by immersion. I promise to testify of Jesus Christ. I promise to serve God and keep His commandments.